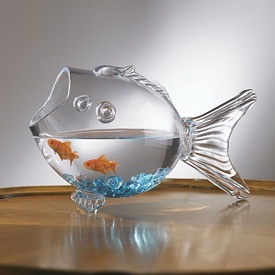 tests « Living Life in a Fish Bowl! There have been times in my life when it seemed my prayers were hitting the ceiling and bouncing back. God seemed to be silent. When you are taking a test, you rely on what you have studied, It is a reflection of what you know. The same is true for our spiritual tests and trials. We draw from what we have studied and what we know. We know by reading and discussing the Word. Spending time in praise, prayer, and meditation strengthens us. Is God silent? Truth is God is never silent. (Isaiah 55:11) His Word is alive and powerful. (Hebrews 4:12) I just need to pick up His Word and start reading to hear what God is saying, or I can give in to the temptation to let it sit on the shelf. One thing we may not realize is that the tests of this life are OPEN BOOK TESTS. In addition to an open book test, we have Jesus (who is ever interceding on our behalf.) –Romans 8:34 When the test seems crushing, I am ever grateful that Jesus has my back. Also, we are told to pray for one another. (James 5:16) Don’t let pride stop you from asking for prayer in the midst of difficulties. Unlike tests you took in school, in the tests of life you can ask a friend for help. I am grateful for good friends who remind me of the truths of God’s Word and encourage me in the midst of trials.